Posted on April 18, 2019 at 1:41 pm. 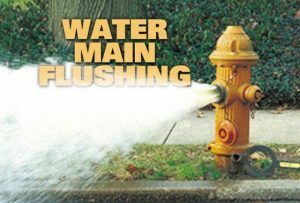 The Village of Withee will be flushing water mains the week of April 22 through April 26. Withee customers may experience cloudy and discolored water at this time. This is due from mineral sediments breaking free. Be sure to check water in a clear glass before doing laundry, as it might stain laundry. The flushing will be done mainly from 10 am to 2:30 pm each day of the week. If you have any questions, please contact Village Hall at 715-229-4319. Posted on February 1, 2019 at 8:05 am. Posted on December 24, 2018 at 8:45 am. Garbage/Recycling pickup will be on Saturdays (12/29/18 & 1/05/19) for the next two weeks due to Christmas and New Year’s holidays. Posted on December 24, 2018 at 8:37 am. Posted on December 6, 2018 at 2:08 pm. Winter parking restrictions are in effect for vehicles on any street in the Village of Withee, from November 1-April 1, between the hours of 3:00 a.m. and 7:00 a.m.
Posted on October 19, 2018 at 9:35 am. Posted on September 21, 2018 at 8:29 am. Posted on August 31, 2018 at 4:31 pm. Posted on August 27, 2018 at 2:18 pm.